The international football break offers football writers like yours truly leeway to indulge in off the norm topics. I am glad to use this time to choose Europe’s line up of the eleven most improved players in their positions. Each time I watch Paris Saint Germain custodian Alphonse Areola, he leaves me in no doubt he is PSG’s and Ligue One’s best goalkeeper. Funnily, his best goalkeeping display was in his club’s only league defeat at Olympique Lyon when he made countless saves but still couldn’t prevent the Parisians from falling 1-2. The 2019-20 season will be perfect time for Areola to take outright ownership of PSG’s number one jersey from veteran Gigi Buffon. Even France’s first choice Hugo Lloris isn’t safe. Liverpool’s Trent Alexander Arnold, Bayern Munich’s Joshua Kimmich and Barcelona’s Nelson Semedo are all a delight. But in terms of pound for pound raw improvement, no one comes close to Crystal Palace right back Aaron Wan Bissaka. He can count himself unlucky not to be included in Gareth Southgate’s England set up for Euro 2020 qualifiers against Czech Republic and Montenegro. Bissaka’s superb game reading, effortless pace and infinite comfort on the ball means he will share the Three Lions right back slot with Alexander Arnold for many years to come. Signed for a paltry £1.2m, this 21-year-old Ukrainian left back Oleksandr Zinchenko is benefitting from an extended run in the side thanks to injury to the club’s £50m first choice in his position Benjamin Mendy. It’s a measure of how well Zinchenko is doing that when City were trailing 0-2 in Saturday’s FA Cup rubber with Swansea City, the first player Pep Guardiola brought on to steady the ship was the Ukrainian. He is an easy choice. I have always rated this Swiss international highly, not least because he is an all-rounder who can play in central defense and as a holding midfielder. Having followed his progress for half a decade, I was just about to give up on the former Basel defender when he started popping up with one contender after another for goal of the season. If Rafa Benitez’s Newcastle United avoid relegation, he can point to Schar and Salomon Randon as the catalysts for their survival. German international Kehrer is a vital cog in Thomas Tuchel’s Paris Saint Germain side that is racing to a record points tally. Kehrer has overcome early season jitters to become a defensive mainstay because he can play as a right back or as a central defender. Kehrer’s rapid progress has condemned Thomas Mournier to a bit part role and forced Tuchel to push Marquinos into central midfield. The former Schalke defender is at his best operating as part of a back three along with Thiago Silva and Pressnel Kimpembe. I always knew France and Spurs midfielder Sissoko possesses tremendous ability. What I didn’t fathom was his ability to transform from a speedy out and out marauding wide man into a composed central midfielder, equally adept at breaking up opposition attacks and initiating counter attacks. Sissoko is benefitting from Victor Wanyama’s extended spell on the sidelines and Moussa Dembele’s move to China. Such has been Sissoko’s progress, I would have him on my shortlist for Premier League team of the season. Jurgen Klopp’s decision to splash £40m on Brazilian Fabinho is proving to be inspired brinkmanship. The former Monaco hard man has settled well after teething problems due to the demanding nature of English football and Liverpool’s ultra-competitive gengenpress. His all-round ability has come in handy as Klopp has deployed him in central defense, holding midfield and even makeshift right back. Fabinho is also an easy choice in my EPL signings of the season. Portugal international Bernardo Silva’s transformation from unyielding winger to stylish, barnstorming, creative midfielder has been nothing short of spectacular. A contender for Manchester City player of the season, the younger of two Silvas has inspired countless Citizens victories with his vision, passing, dexterous dribbling and eye for goal. A heir apparent to City legend David Silva has been identified. This 20-year-old’s presence in my line up should be a scant surprise given how well France’s World Cup winner did at Russia 2018. With ten matches to play in Ligue One, Paris Saint Germain’s front man Mbappe has already netted 26 goals, which is double his return from last season. Such has been his meteoric rise, I now consider him as the game’s next best thing after Lionel Messi and Cristiano Ronaldo. Mbappe is a cast iron future Ballon D’Or winner. Three Lions attacker Sterling is testament to the coaching prowess of Citizens boss Pep Guardiola. The City flyer has added mental grit to his undoubted ability to emerge as the fulcrum on which the club’s assault on a quadruple rotates. 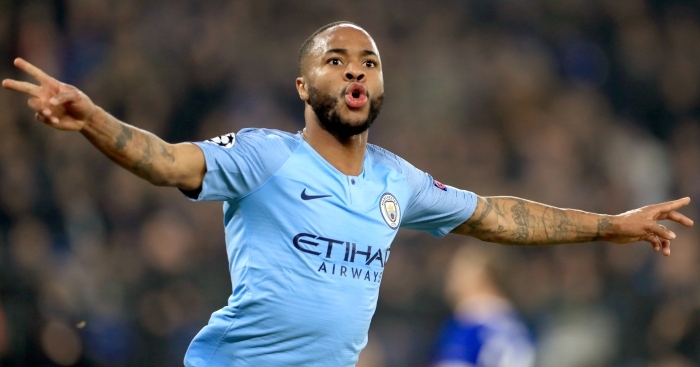 That Sterling demanded to take the decisive spot kick in City’s Carabao Cup final victory over Chelsea is evidence of how well he’s developed the mental side of his game. I fancy Sterling to win the FWA and PFA footballer of the year gongs. Such has been his impact. Senegal star Mane’s numbers for Liverpool since the turn of this year are nothing short of spectacular. Regular readers of my column know of my affinity for non-stop strikers (kipakus), and Mane is my favourite of them all. He is a football whirlwind who is always in perpetual motion, haranguing defenders, displacing opponents, creating chances and stabbing goals into the back of the net. In brief, Mane is a manager’s dream striker. Little wonder Real Madrid boss Zinedine Zidane is nosing around for his services. Honorable mentions go to Lille Metropole’s Ivorian winger Nicholas Pepe, AC Milan’s Polish goal machine Krzysztof Piatek, Napoli’s Poland midfielder Piotr Zielinski, Real Madrid’s teenage metronome Vinicius Junior and Barcelona’s speedy dribbling demon Ousmane Dembele. They too have developed in leaps and bounds.